A Septic Tank System is commonly used in areas of Anoka County as a way to store, treat and disperse wastewater. As such, many homes and businesses in the area have one of these Sewage Treatment Containers buried somewhere on the property. If you have an underground septic tank or are considering buying a property that has one it might be good to have a basic understanding of what they are, how they work, when to have it emptied out and who to call. 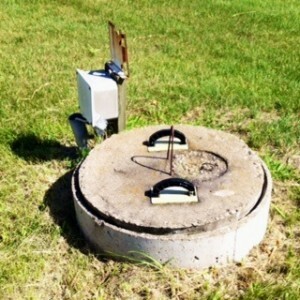 As a Minnesota Licensed Septic Tank Installer, CSI Custom Septic, Inc. has information that you can use. What Are Septic Tanks Made Of? Not all Septic Tanks are made the same. Your local Septic Designer and Installer can provide you with solid choices in types of Septic Tank Materials that are best suited for your individual property and expected usage. You will want a tank that is water tight and durable enough to handle Minnesota’s extreme climate conditions. Look for a septic tank made of Concrete, Fiberglass or Polyethylene. How Is an Underground Septic Tank Installed? You will need to have someone that knows what they are doing to make sure that every component is installed correctly or you could end up with problems in the near future. CSI Custom Septic, Inc. has spent decades designing and Installing Septic Tanks, Drainfields, Pipes, Baffles, Pumps, Switches, Alarms and every other piece of equipment that makes individual sewage treatment systems work efficiently. The Septic Tank or Tanks will have to be buried at a sufficient depth to comply with sewage treatment rules. Soil type and depth and location of private wells or structures must be factored in. Gravity can work in your favor as a way to get liquids into the tank and back out to a soil treatment area. Watertight septic container is buried below ground. Placed a safe distance away from structures, water and wells. Inlet pipe carries wastewater from home to underground septic tank. Contents separate into layers of scum, liquid effluent and solids. Bacteria inside of tank begins to break down and sanitize sewage. Outlet valve allows effluent to flow out to next stage of treatment. When Should Septic Tank be Emptied? A typical single home septic tank should be pumped out about once every three years. Check with your septic inspector or maintenance provider to know when to schedule the next pump out. Consult with a Minnesota Licensed Septic System Designer and Installer to come up with the correct configuration and style of septic tank system for your property. There are a lot of factors to take into account when designing a system that is not only effective buy also compliant with state and local regulations. CSI Custom Septic, Inc. is licensed to provide numerous septic services including Professional Septic Design and Installation.